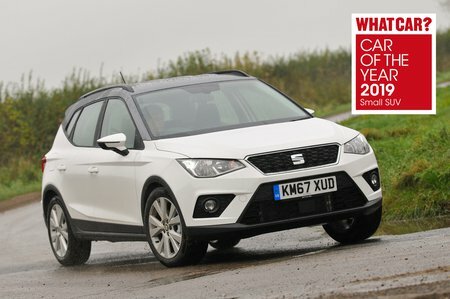 Seat Arona Performance, Engine, Ride, Handling | What Car? The cheapest engine (a 1.0-litre turbocharged petrol) pumps out just 94bhp, although it's gutsier than you might imagine so never feels frustratingly slow. We actually reckon it's the pick of the Arona range, especially if you mostly drive in and around town. The more powerful 114bhp 1.0 engine (badged 1.0 TSI 115) pulls more eagerly from low revs and feels suitably more energetic in every situation. It’s just a pity that this engine is available only in SE Technology and above, unless you go for an automatic (DSG) gearbox – something the majority of buyers in this class won’t want..
At the top of the range sits a 148bhp 1.5-litre turbocharged petrol. Unsurprisingly, it delivers much nippier acceleration than either of the 1.0-litre units, although it does push the Arona's price into the territory of bigger, more grown-up cars such as the Volkswagen T-Roc. There are also two 1.6-litre diesel engines with 94bhp or 114bhp. The lower-powered model doesn’t feel as responsive and sprightly as the petrol units – indeed, it’s the slowest engine in the line-up – but it will manage fine in town driving and on occasional motorway trips. Although we have yet to drive the 114bhp diesel, we’d still say that the there’s no reason to go for a diesel in the Arona when the petrols are as good as they are. Let's be clear: no small SUV rides particularly brilliantly in the grand scheme of things. A VW Golf, for instance, smooths over all manner of obstacles more adroitly than any car in this class. However, stick with 17in alloys (the smallest available) and the Arona deals with the kind of bumps and scars you find in most towns and cities with reasonable aplomb – far better than a Citroën C3 Aircross, Mini Countryman or Kia Stonic. It’s more settled than those cars at motorway speeds, too. Switchable suspension is standard on FR Sport trim, as are larger 18in alloys. 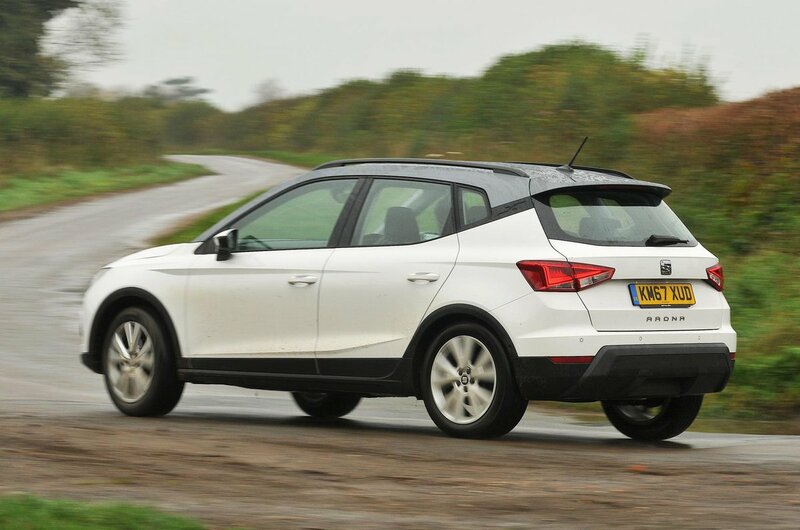 This clever set-up allows you to stiffen and soften the dampers at the touch of a button and, as long as you're in the softer setting, makes the Arona even more comfortable. However, the T-Roc still rides bigger obstacles in a slightly more sophisticated fashion. We've yet to try the sports suspension fitted to regular FR trim. One of best things about Seat's larger Ateca is how jolly good fun to drive it is – a rare quality among SUVs, especially at this end of the market. And the good news is that, on the whole, Seat hasn’t dropped the ball with the Arona. In fact, because it’s lighter and a bit lower to the ground than its bigger brother, the Arona actually changes direction with a bit more gusto and leans less when it does so. Perhaps more to the point, it’s heaps more agile and entertaining than most of its direct rivals, including the C3 Aircross and Renault Captur. The Stonic stays even more upright through tight bends and grips harder, but the steering on that car doesn't have as much feel. 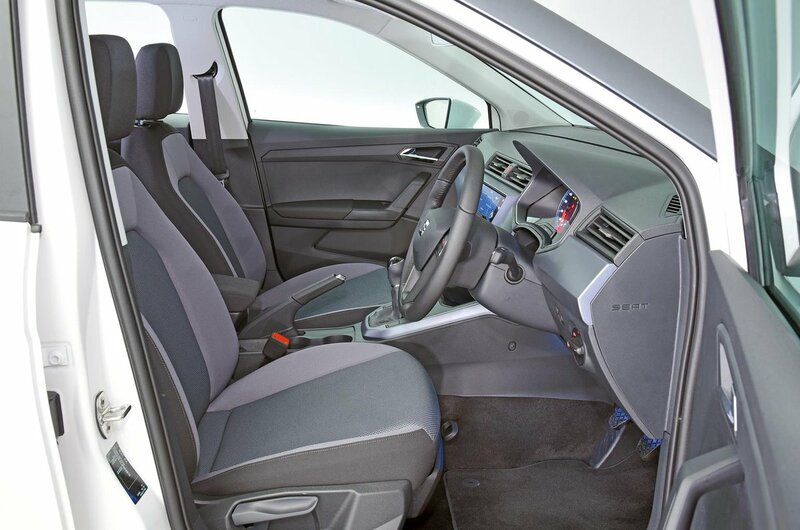 FR and range-topping Xcellence Lux models have a feature called Drive Profile, which lets you adjust the weight of the steering. Even in Normal mode, it allows the steering to build weight progressively as you turn the wheel, compared to the rather light (yet still precise) steering without Drive Profile. The 1.0-litre TSI engines only have three cylinders and will send a few vibrations up through the pedals – particularly when you work them hard. The four-cylinder 1.5 petrol is certainly smoother, but none of the petrol engines is annoyingly vocal. As for the diesels, we’ve only driven the 1.6 TDI 95 and it is, predictably, louder than the petrols. It isn’t too gruff or unpleasant-sounding, but is noticeably noisier than the petrols, particularly when accelerating. There’s a bit more vibration through the pedals, too. Above 50mph, you can hear the wind whipping around the Arona’s door mirrors and there's a bit of road noise – more than you'll hear in a T-Roc. More positively, the Arona’s clutch and gearshift also have a precision to them that you won’t find in the vast majority of other small SUVs at this price.